Harris credits her Indian mother and grandmother for political ascent. WASHINGTON, DC, January 21, 2019 – Kamala Devi Harris, the first Indian American to serve in the US Senate, announced Monday that she is running for the White House in 2020, intent on challenging President Trump. According to the video, she will formally launch her campaign at a rally in Oakland, her birthplace, next Sunday. In it, she affirms, “the time is now for us all to defend the American values of equality, decency, justice and democracy” and vows her candidacy will be animated by her life’s work of fighting “For The People,” her campaign logo. “I love my country. This is a moment in time that I feel a sense of responsibility to stand up and fight for the best of who we are,” she said in the interview on ABC, taking a swipe at the Trump presidency. “My entire career has been focused on keeping people safe. It is probably one of the things that has motivated me more than anything else. When I look at this moment in time, I know that the American people need someone who is going to fight for them, who is going to see them, who will hear them, who is going to care about them, who will be concerned about their experience, who is going to put them in front of self-interest,” she said. The 54-year-old lawmaker who sits on the powerful Senate Judiciary Committee is a trail-blazing beauty with brains. If elected, she will become the first female and first Indian-American president of the United States. It must be mentioned that both the Indian and African-American communities claim Harris as their own. The daughter of immigrants, her mother, the late Dr. Shyamala Gopalan, hailed from India while her father, Donald Harris, is from Jamaica. Her parents split when she was a kid and both she and her younger sister, Maya Harris, were raised by her Tamilian mother. “It was really my mother who took charge of our upbringing. She was the one most responsible for shaping us into the women we would become. And she was extraordinary,” Harris writes in her memoir, The Truths We Hold: An American Journey, one of two books released earlier this month. Delivering the keynote address at the 2017 Madeleine K. Albright Luncheon hosted by the National Democratic Institute (NDI), Harris credited her Indian grandmother, Rajam Gopalan, and mother for being her role models. As things stand, Harris is joining an already crowded Democratic field that includes three women presidential hopefuls: Rep. Tulsi Gabbard of Hawaii, the first ever Hindu lawmaker elected to Congress; and senators Elizabeth Warren of Massachusetts and Kirsten Gillibrand of New York. Gabbard is an American Samoan who adopted Hinduism at an early age. Like Harris, members of the Indian-American community consider her as their own. It would be interesting to see how the presidential race plays out. Also seeking the 2020 Democratic nomination for president are West Virginia state senator Richard Ojeda, former Congressman John Delaney of Maryland, former Housing and Urban Development Secretary Julian Castro, and businessman Andrew Yang. Potential candidates like former Vice President Joe Biden, Vermont senator Bernie Sanders, New Jersey senator Cory Booker, Ohio senator Sherrod Brown, Minnesota senator Amy Klobuchar, California congressman Eric Swalwell, former congressman Beto O’ Rourke of Texas, former governor of Virginia Terry McAuliffe, former attorney general Eric Holder, and businessman Michael Bloomberg are still weighing bids. A crowded field notwithstanding, all the Democratic candidates – both in the race and potential – are qualified to serve as president of the United States. The challenge is running against Trump in a contest that would more than likely be contentious, to say the least. Among the truths, the senator noted that crimes against South Asian Americans have increased by 45 percent since November 2016 (when Trump was elected president). She pointed out that racism, sexism, antisemitism, anti-Muslim sentiments are all on the rise. Harris is certainly no novice at breaking through glass ceilings. She became the first female and first woman of color to be elected District Attorney of San Francisco when she pulled together a coalition of people winning the 2003 election and defeating two-term, seemingly entrenched, incumbent Terence Hallinan. 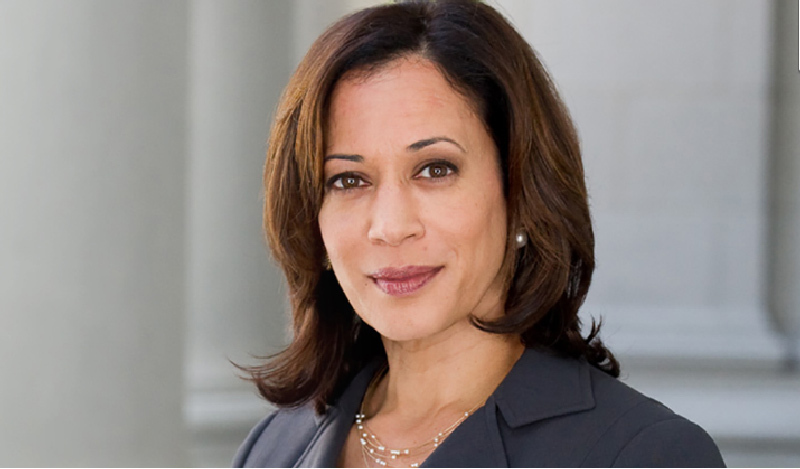 Harris served two terms (2004-2011) before deciding to run for Attorney General of California. She became the first female and first woman of color to be elected top cop of the biggest state in the country – and re-elected to the position. In 2016, she became the first Indian-American elected to the Senate. “From this platform – and every step along the way – I have tried to live another lesson my mother taught me: ‘You may be the first, but make sure you aren’t the last,’” she told the NDI audience.